Go on a fun adventure in Barbados! 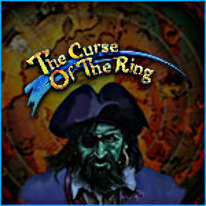 After trying on a cursed ring, you must now find 6 stolen treasures or pay the ultimate price! Cap'n J. Flint has cursed the so-called prophecy ring and sends you out to find the treasures taken by the mutineers. Explore gorgeous Hidden Object scenes and try to survive The Curse of the Ring!